When developing an app, information architecture is the process of identifying what information will be used to facilitate the requirements of a project. By identifying an effective back end strategy with an apps desired goal in mind, it establishes how front end tasks must operate in order to work accordingly. The process of information architecture factors for quality attributes of an application such as usability, performance, security, and manageability. Information architecture is used as a blueprint to ensure that the underlying modules of an application will support future growth. 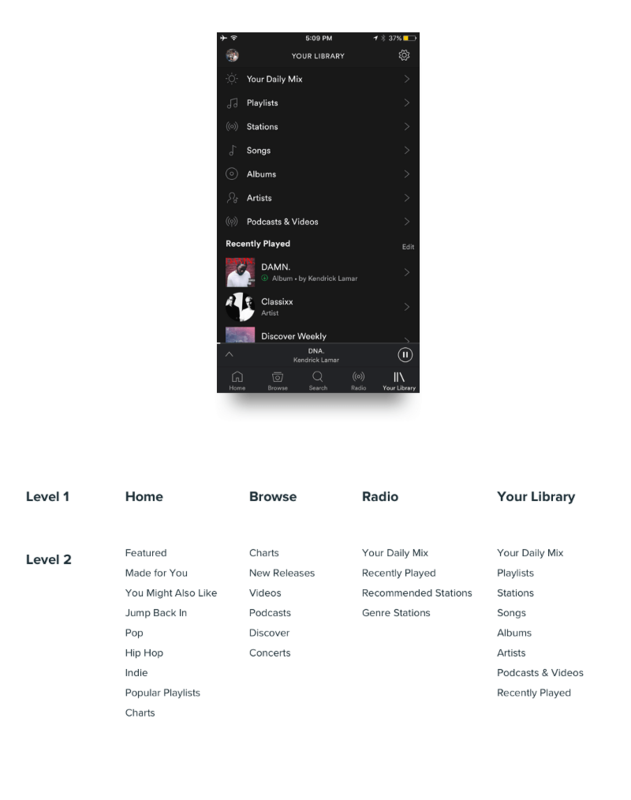 The image below from prototypr.io breaks down the IA behind Spotify’s mobile app. It showcases the different levels of information used within the application and how they the app is designed to function around these key features. When developing native mobile apps, information architecture is a crucial factor as it can determine how usable the end product will be for users. 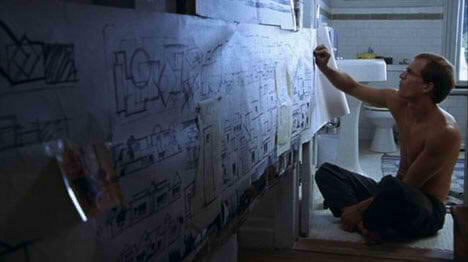 Within the lifecycle of a project, information architecture will usually partake before any wireframing is carried out. However, IA can be revisited later in a products lifecycle when implementing new features. The roles responsible for undertaking information architecture will normally include a product manager, software developer/s and a project manager.